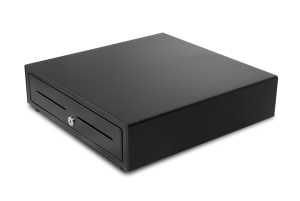 Partner Tech understands that our customers need cash drawers that are secure and operate reliably. Partner Tech offers the heavy-duty 6E410 cash drawer for retail and restaurant environments that require advanced security and reliable performance, even in heavy use or high-volume situations. Your customers want quick service at the checkout. The Partner Tech 6E410 cash drawer is designed to give merchants the ability to adjust the tray configuration to optimize staff efficiency and productivity. 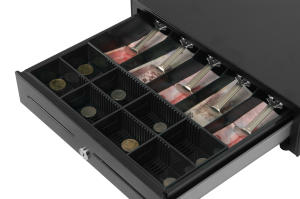 The removable, five-bill, five-coin, tray is designed so you can set it up in a way that makes the most sense for your retail store or restaurant. You also have the option of upgrading to a five-bill, eight-coin tray. With the 6E410, you have the ability to add speed and convenience to experiences at the checkout that will delight your customers. Make an investment for your business that lasts: The 6E410 cash drawer and its wire bill grippers have been tested for successful performance for 2 million cycles. 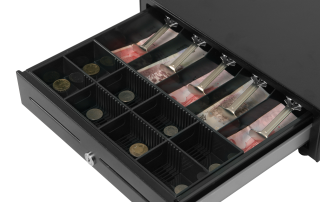 This cash drawer’s long-lasting design is proven to withstand even high-volume and heavy use without failure. Moreover, the 6E410 is performance-hardened, made of heavy-duty, stainless steel that’s designed for high-volume use in commercial environments. The cash drawer’s inner structure is constructed from high strength ABS plastic, suited for applications where impact resistance and strength are required. 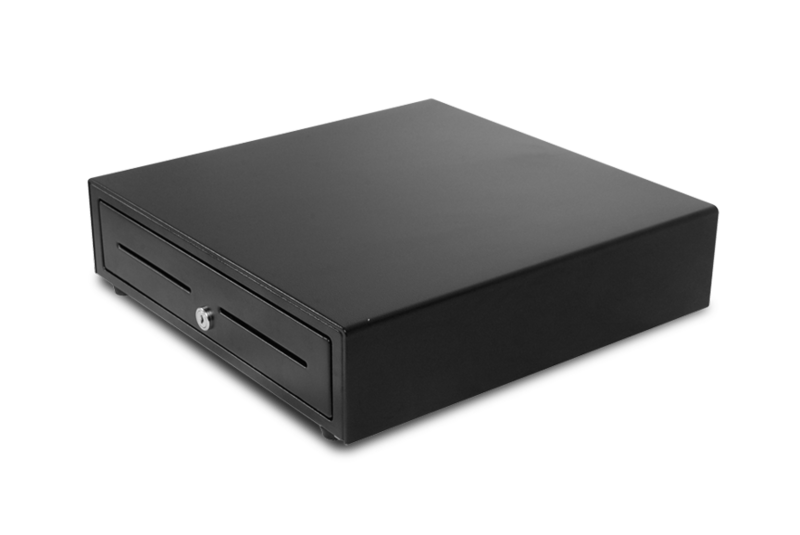 Loss prevention is crucial to your business, and Partner Tech makes security a top priority in the design of its cash drawers. The 6E410 features a three-position key lock to help control access: a closed, locked position, a position that allows it to be opened only with a signal from the POS system, and a manual open position. A lockable lid is optional to provide additional security during cash tray transfers. 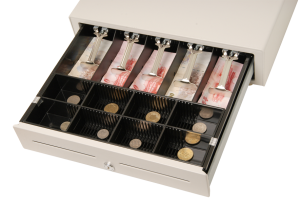 The 6E410 also features two check or large bill slots, which enable cashiers to slide bills or documents into the drawer without having to open it. 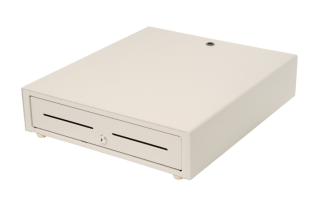 The 6E410 provides flexible interface options — RJ11, USB, serial, or RS232 — that let you connect the drawer to your POS system in the most convenient way. Grippers in the bill slots are available in plastic, metal or wire options.